Like many others, Mother's Day is one of the occasions I fret most about because I don't know what gift to get for my mom! Over the years, I have given her the usual - flowers, cake, jewellery, make up products.. The recurring question every year would be "What else do mommy need?" 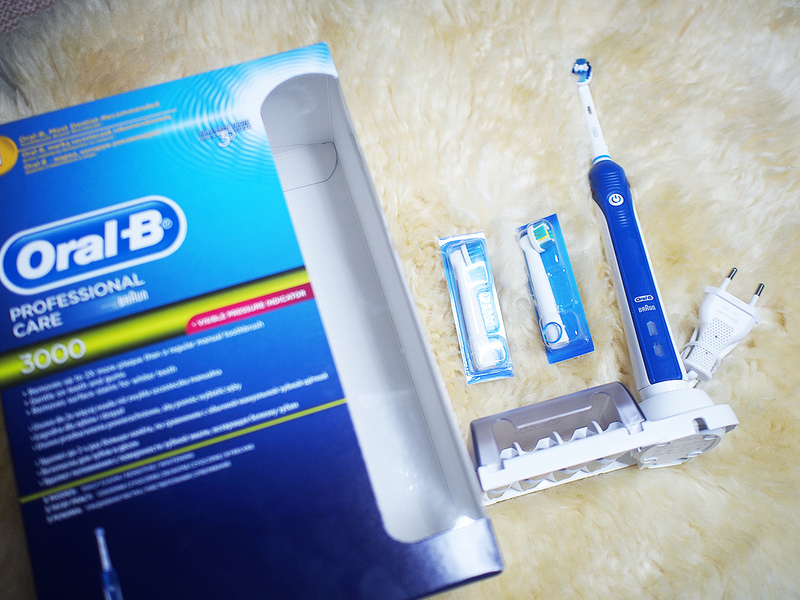 This year, Oral B reminded me about what I truly want mommy to have - a big, great smile. My mom doesn't like smiling with her teeth showing because she often complained about them looking unsightly. Over the years, i've also realised the importance of oral care, especially for my parents who are getting older by the years! So why not protect your mom's smile by gifting her a professional oral care kit? For one, it is practical , and a good smile is priceless. Yes, technically manual brushing is indeed sufficient. But according to studies, manual brushing using normal toothbrushes is only considered "sufficient" and "good" if it lasts for over 3 minutes, using the right technique and right pressure. But of course, in reality, an average person only brushes his teeth for 46 SECONDS! Many people often make the mistake of scrubbing and pressing too hard on our teeth and gums which results in sub-optimal oral hygiene. Can you believe that we all are only brushing our teeth for only a quarter of the time is actually needed for good oral hygiene???! With the Oral B Professional Care 3000, you can easily set a timer to remind yourself to keep brushing for at least 2 minutes. It is also supported by 2 motions - oscillation and pulsation to provide a thorough cleanse tooth-by-tooth and very importantly, it comes with a pressure sensor that helps reduce the brushing force exerted on your teeth and gums! I personally like the Oral B Professional Care 3000 because it saves me a lot of effort with little need for movements - all you have to do it turn it on and move from tooth to tooth. Just let the toothbrush do the work! I'm glad I introduced mommy to Oral B and she's started her journey to achieving improved oral hygiene! The good news is, this Mother’s Day, you can save up to 50% on selected models of Oral B Power Brush on Qoo10 here! Promotion is valid from 1st May 2015 onwards. For more information, visit Oral B's website here.